Customers have been telling Hewlett-Packard that they want laptops that run Android, so the company is rolling out the SlateBook PC to meet that demand. The laptop will start at $399 and be available in August. 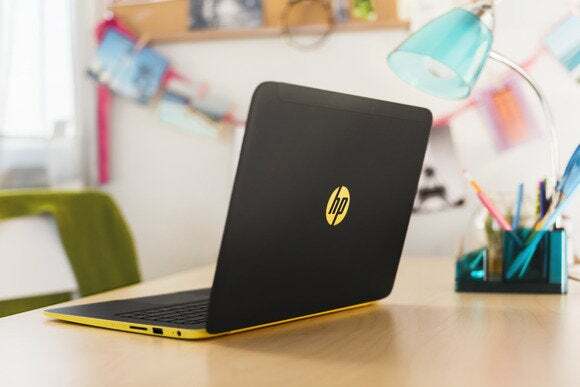 It has a 14-inch touchscreen and combines the familiar interface of Android on mobile devices “with the productivity of a notebook ... in a breakthrough design,” said Mike Nash, vice president at HP. The SlateBook PC weighs about 1.7 kilograms, is 16 millimeters thick, has 64GB of storage, 2GB of memory, and a fully charged battery can run for nine hours. The touchscreen displays images at 1920 x 1080 pixel resolution. The laptop runs on an Nvidia Tegra 4 processor, which is used in HP’s SlateBook tablets. The Nvidia chip has 72 graphics cores and can handle 4K video playback. HP has added tools so Android apps will stretch out to the full 14-inch screen size. Both Chromebooks and the SlateBook PC are meant for those who do most of their computing on the Internet, but there are differences, Nash said. Using a browser on the Android laptop isn’t as good as on Chromebooks, which are more like desktops in that regard. But Android is used by millions of people and some want it on laptops, Nash said. Beyond the user interface, the Android laptop will run applications such as Skype that are not yet supported on Chromebooks. Android also boasts better printer support than the Chrome OS. HP has had to make choices in the past on whether to use the Chrome OS or Android in PCs. HP chose Android over Chrome for its Slate 21 Pro all-in-one, partly because Android was heavily customizable as an open-source OS, while features in Chrome OS were controlled by Google. HP also said that Android was cheaper to implement than Chrome OS, which had to comply with specific hardware requirements. The laptop is expected to be shown at Computex this week in Taipei.